The film opens with a pile of clothes and shoes on a beach, and someone whistling “For He’s A Jolly Good Fellow”. A man is wading in the sea, maybe suicidal, maybe cleansing his sins. Or just washing off the bloodstains on a nice sunny day. 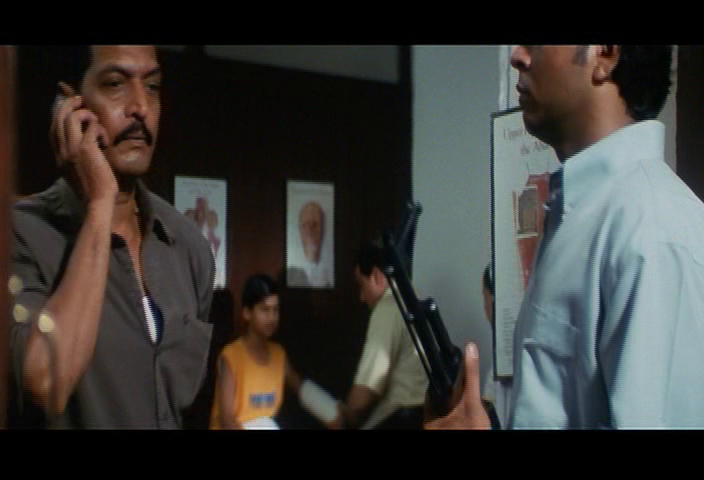 Sadhu Agashe (Nana Patekar) is an encounter specialist. He is honest and pragmatic about what that really means, and is untroubled by any ethical concerns. He is doing a necessary job as the legal system cannot stop gangsters, so extreme measures are required. 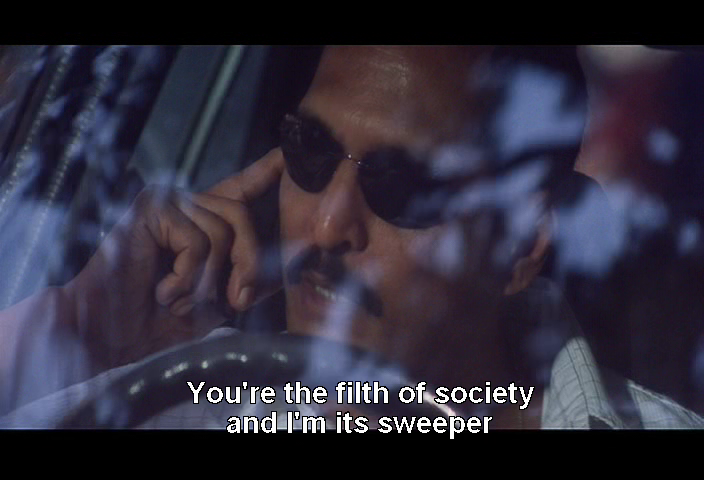 The cops are basically just another gang in the Mumbai ecosystem. Within the department there are people jostling to take over his prime position. 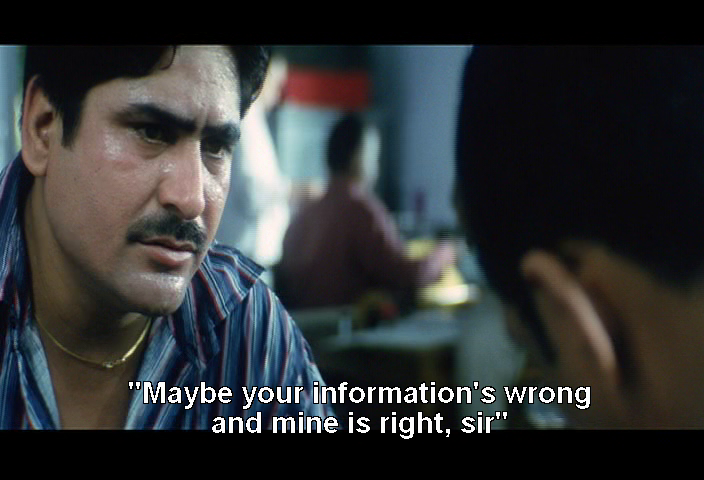 Imtiyaz (Yashpal Sharma) is a sook who wants to be the top cop but lacks Sadhu’s instincts and connections with the useful informers. 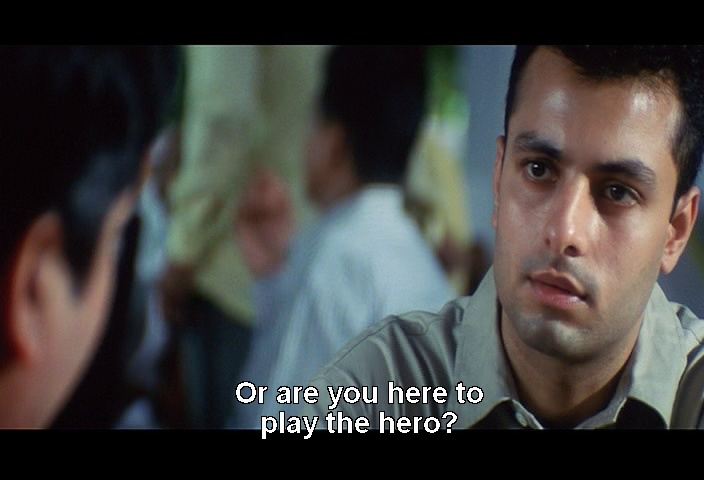 Shukla (Nakul Vaid) is the wide eyed newbie, determined to deliver justice through state sanctioned murder. 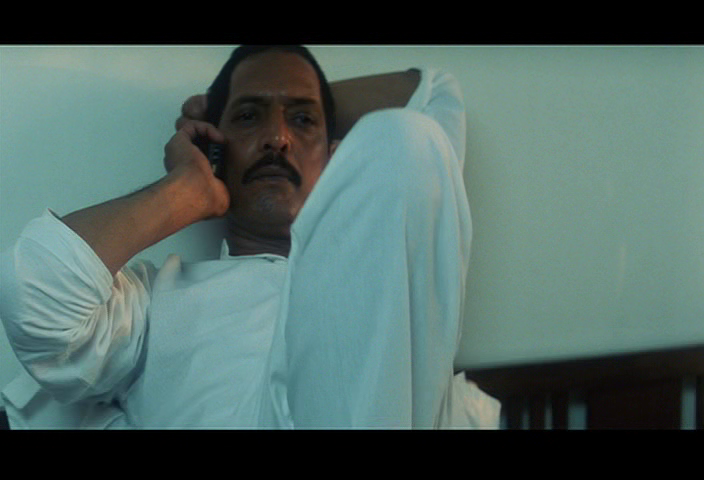 Zameer (Prasad Purandare) is an offshore crimelord, running operations from his luxurious Malaysian retreat. 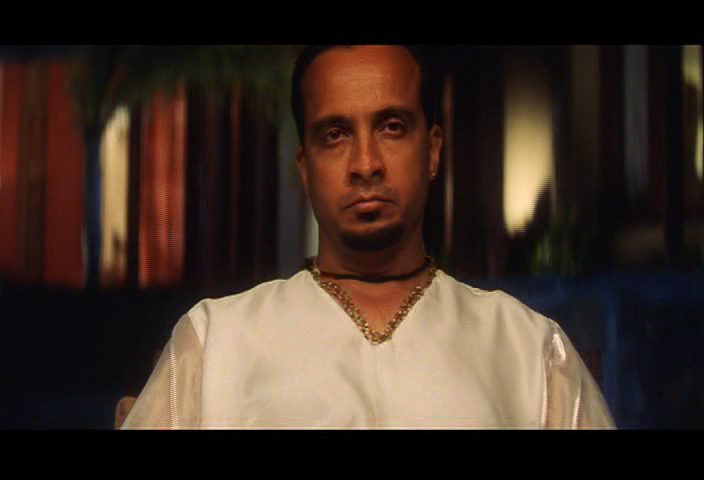 He has a random Australian girlfriend and a strange attachment to Sadhu Agashe, who he often calls for a chat. The cat and mouse game between cop and crim is tense and disarmingly friendly by turns. New Joint Commissioner Suchak (Jeeva) has a different agenda from outgoing Mr Pradhan (Dr Mohan Agashe) and the department has to learn to navigate the new landscape. When Sadhu Agashe is put on the other side of the gun, he uses all the resources at his disposal to try to outwit his adversaries. 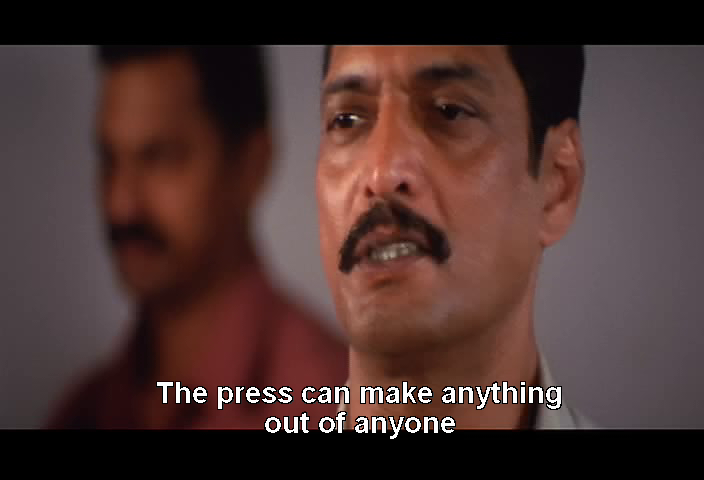 Nana Patekar is both ordinary and charismatic, and delivers a compelling performance that carries the film. Agashe is a public servant tasked to kill bad guys and has no obvious ethical issues with his job description. He believes he is taking care of a problem afflicting the general population, the people he swore to protect. His simplicity is deceptive, a man who acts first and stops to feel and care later. 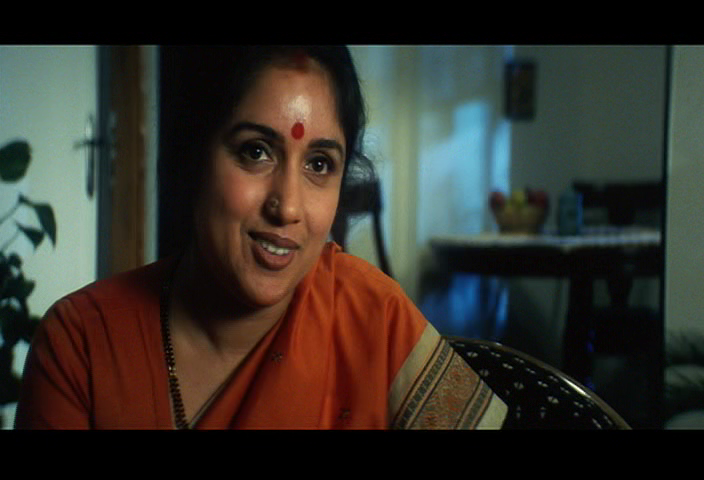 His relationship with wife Nammo (Revathi) is loving with lots of nagging and joking in a comfortable couple-y way. She is a political science teacher and yet exhibits no qualms about what her husband does, or the potential danger to herself and their son. 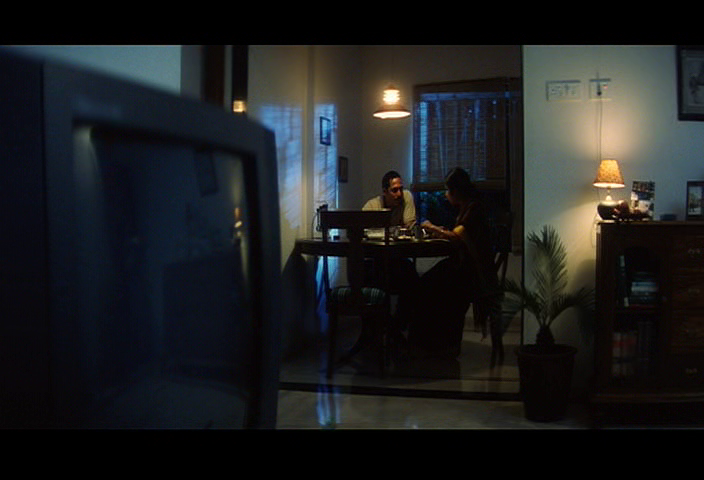 I know they have been married for years but I still expected that when Shukla brought his fiancée Vaishali (Hrishitaa Bhatt) over for dinner that they may talk about what it meant, or at least how to get blood out of clothes. It was just such a non-thing in their lives. Revathi is elegant in a comfortable middle class way that suits Nameeta, not blingy or impractical looking. Revathi doesn’t get a lot of dialogue but her silent interactions and bustling about the home show Nammo is the cornerstone of his life. She is warm and grounded which plays well against Nana Patekar’s sharper edges. When people break the unwritten law that keeps family and dependants out of the fray, they mess with the only thing that could influence Sadhu Agashe to be moderate. 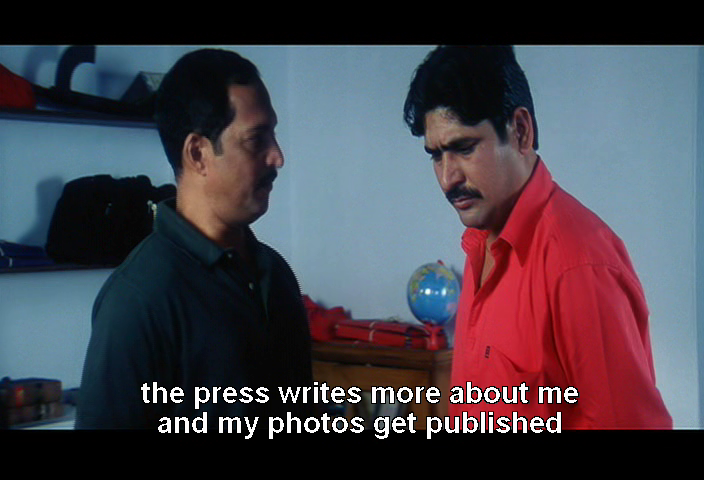 Yashpal Sharma and Kunal Vijayakar have prominent supporting roles and play the world weary seen-it-all-before cops to perfection. Justice is not their priority, hitting their targets (literally) is more important. Nakul Vaid is suitably wide eyed as the rookie on the team. Agashe sees potential in the kid, and shares his jaded wisdom with his protégé but I wouldn’t say the boy was all that innocent to start with. Looking queasy when you shoot someone is not necessarily an indicator of moral fibre. 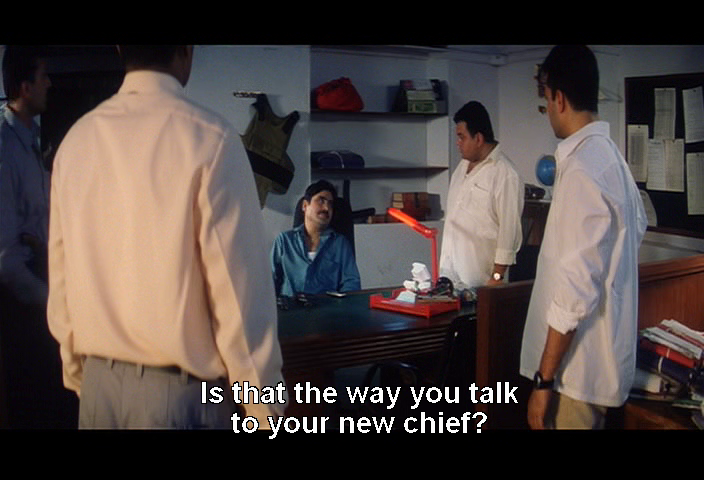 Jeeva is threatening and oozes corruption as Suchak who disrupts the team with his new agenda. 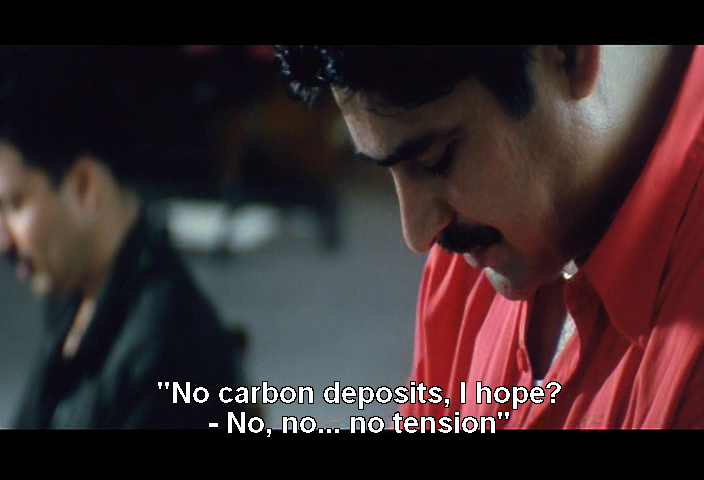 Mohan Agashe is weary and understanding as Sadhu’s old boss, the only man he really trusts and respects. Their conversations shed light on Agashe’s motivation and his view of the world, and point out the dangers if he sets a foot wrong. 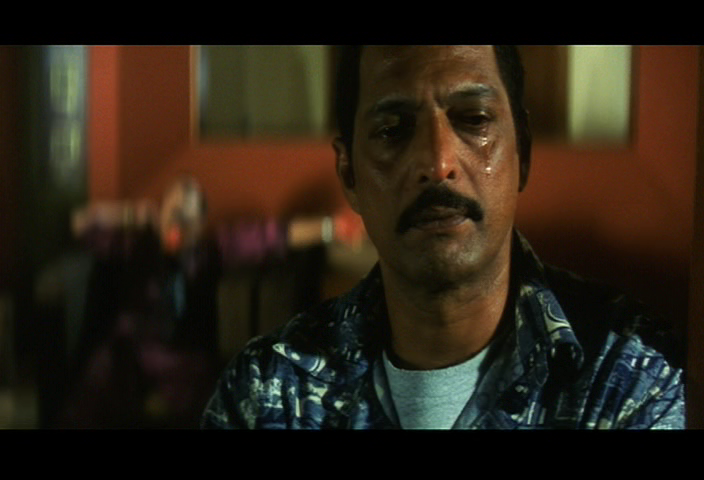 Shinit Amin set his story in the non-glamorous Mumbai of films like Company and D, a dog eat dog city. Traffic is constant, everyone knows everyone else, the honour code is fairly strong. No matter what happens, gangsters and cops all stop to watch the cricket and even a hardened criminal should be entitled to a cup of tea and a lift home after he has been beaten to a pulp. 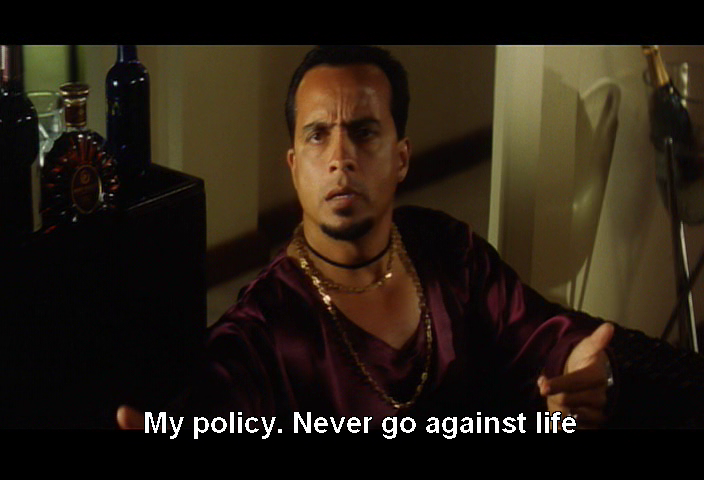 There are rules. And then there are laws. 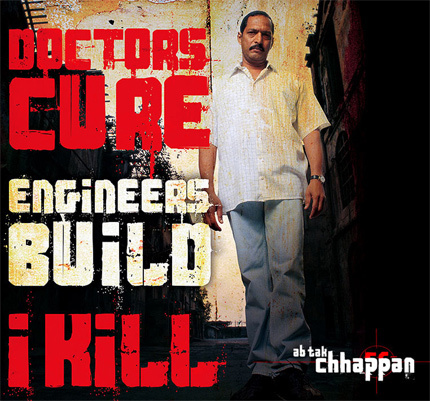 The film was produced by RGV and it is like the sensible version of (the very disappointing) Department. There is an internal logic, cause and effect, nothing happens out of blind coincidence or guess work. 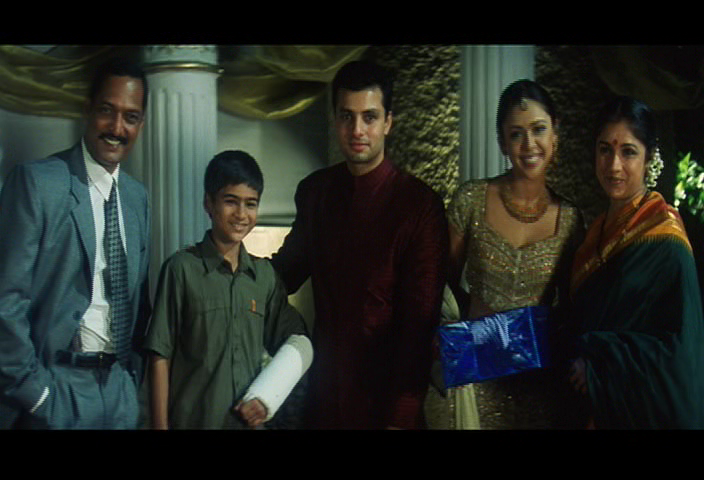 The background score by Salim-Suleiman is dramatic without being too obtrusive. Their soundscape helps create a sense of urgency and velocity as the protagonists travel through the hurly-burly of Mumbai. The camera also navigates the rabbit warren of streets homes and office, giving a feeling of being a fly on the wall. Faces are often framed in close up but off centre, maybe to underscore the unknown and secret sides of human nature. Or maybe just because it looks cool. There is a lot going on in the background and periphery as people go about their work and daily business. It’s a lively yet very contained filmi world. 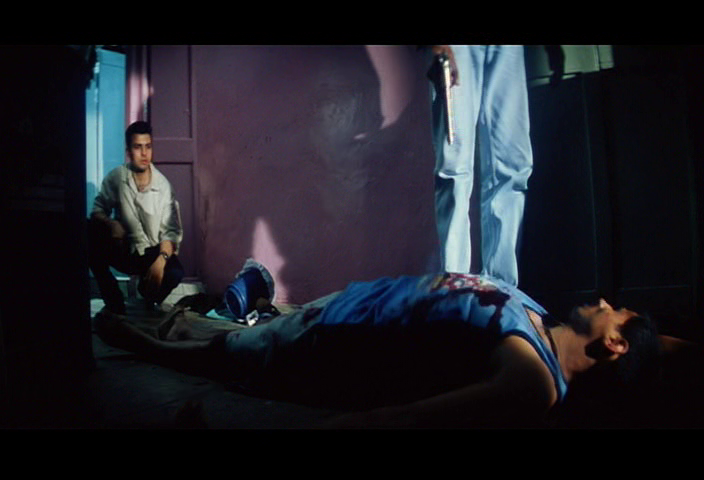 There is a lot of violence and death in the film, but it is almost understated. The characters hardly notice the carnage, so nor did I. I was more interested in the why than the what. And the implication of the corruption of the system and the internecine conflicts was far more frightening than a shooting. This is a solid film with a well thought out plot and excellent performances. It’s not uplifting but neither is it completely depressing. 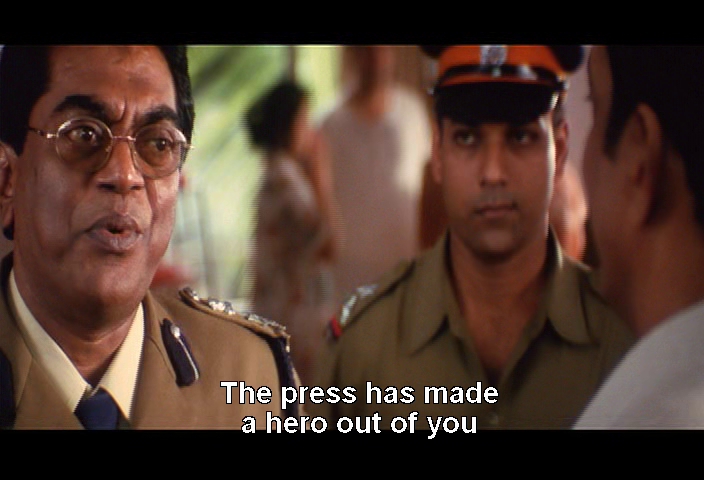 It is a different way of looking at that filmi chestnut – where do you look for justice? And does doing something bad to prevent something potentially worse ever work out? 4 stars!